Now that just about everybody and their brother has finally caught on to the content marketing trend, it’s about time you began doing something that sets your content apart from the others. Your consumers already love interacting with your content; in fact, 61% of consumers prefer companies with custom online content. 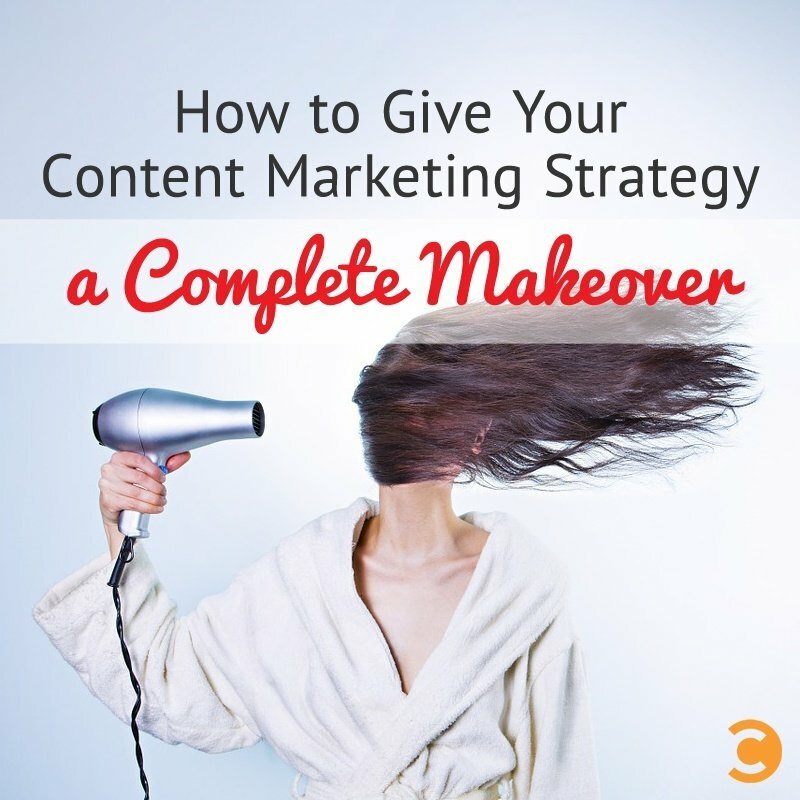 Now is as good a time as ever to rethink your content marketing strategy, give your consumers more of what they love, turn some things upside down, and completely makeover your content marketing strategy. Here is a short checklist of things you need to improve to give your content a total makeover, if you haven’t already. Without a doubt, every piece of content your publish online should have some form of value to your audience. There are multiple ways to measure value and see if it’s considered “worthy of value” to your consumers—in content marketing we call it social currency. Depending on your brand, there are different types of social currency, ranging from entertainment value, utility, conversation, or information. The social currency of your brand determines how much people will share your content, it’s potential to go viral, and what your audience can take away from your content. Always ask yourself before you publish a new piece, “What does my audience have to gain from this?” Will it entertain them? Will they gain actionable tips to fix a solution relevant to them? According to Arianna Huffington of The Huffington Post, “People think in stories, not statistics.” If your content is not granting you the same success as it once did, or you’re ready to get a new boost of new clients, take a deeper look at your content. Whether it’s a photograph, infographic, or blog post, does this content tell a story? When a viewer looks at your graphic, will it leave a lasting effect on them? Stories have the ability to stick with people, so they’ll repeat them over again to friends and make long-lasting associations with your brand. Remember: All good stories have a beginning, middle, and end, but all the more essential is that stories are personal. The way you tell your brand’s story is the persona your audience will grow to love. Name this persona, give her real-life characteristics, and bring her to life through your vivid stories. Creative collaboration is the new way of content marketing, and if your strategy still involves you doing all the work all by yourself, you’re not doing you or your audience any favors. This collaboration is both inside the office walls and out. It’s important all members of a company, from all different teams, are aligned with the same goals. It’s amazing what a difference it can make when your SEO team and creative team are on the same page. Initiate weekly overview and brainstorming sessions to get everyone thinking together. Co-creating can also refer to partnering up with other like-minded businesses to improve the reach and the quality of your content. It doesn’t even have to be another business—today, with the rise of prosumerism, anyone can create and upload their own content. Look no further than your own community. These guys are the most excited to contribute, and who better to provide relevant, worthy content than your consumers themselves? Hence, big shot companies like Coca-Cola and BMW are looking for inspiration within their community, rather than hiring fancy ad agencies. To satisfy all segments of your audience, experiment with new media and different platforms so that each member of your audience can find a platform suitable to them. Instead of focusing on one medium and throwing all of your efforts into it, try sprinkling your efforts around. Provide your consumers with a blog entry once a week, a demo video for more visual learners once a month, and presentations here and there for the fast-paced learner with a short attention span. These are but four key ways to take your content marketing strategy from “lagging” status to “royalty” status. If there are portions of this strategy your team is already working on, try stepping it up a notch, and see if you can constantly increase your user engagement and overall payback. If you haven’t yet begun to implement any of these tips into your strategy, that’s okay too—everyone could use a makeover every once in awhile. Daniel Glickman is the CMO at Roojoom, an online presentation platform used for content marketing. Daniel believes in combining marketing automation with human intuition to create a lean mean marketing machine.